The best grade of select shoulder split leather gives you protection from the tough junk you have to deal with on the job. Pipes, wood, and metal are no match for these gloves. 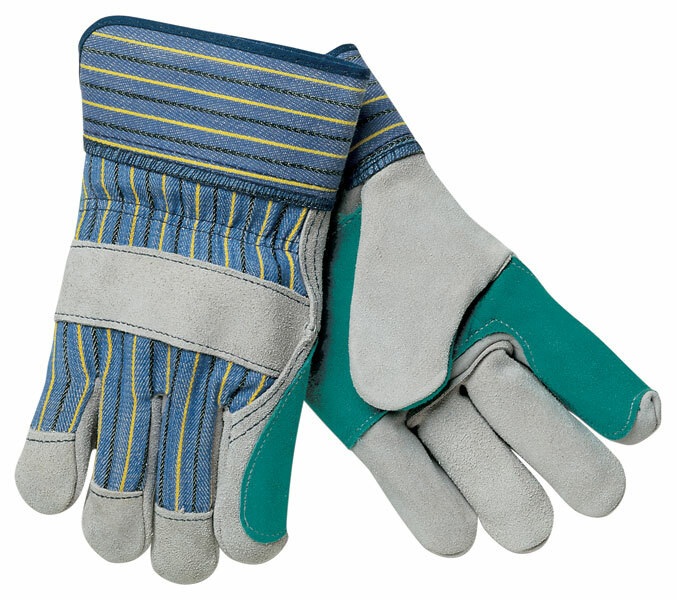 The 1411A features A select shoulder leather double palm,blue/yellow striped fabric back and 2 1/2" plasticized safety cuff which is great for laundering.